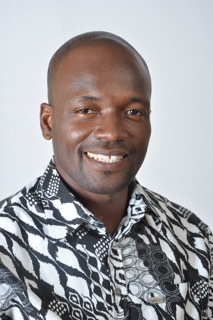 Teddy Totimeh's poems were recently published in the Writers Project of Ghana anthology: look where you have gone to sit. He has worked in radio, presenting writers and their works. He helped create the radio programme Open Air Theatre on Radio Univers fifteen years ago, and presented the Writers Project on Citi FM last year. A doctor, Teddy lives in Korle Bu with his wife Maamle and his three lovely children. I am 38, and started writing in secondary school (Achimota). So I guess I have been writing on and off for the last 20 something years. I have dabbled in and out of following poets, but have always loved Keats and Wordsworth. The imagery of Awoonor and Wosornu have also grabbed my attention at different times. I think I would like to communicate my viewpoint of the world in my poetry. I am a human being going along the path of life. I am blessed enough to be able to show others what I see, and how I see it, as beautifully as I can. 4. "sample the order in the odours" is a wonderful phrase. Do you remember how this line came to you? Was it late in the writing process, or early on? I am not sure how sampling the order came about, but now I think about it, I guess it is the fact that even in the different odors that we have, there is some order. We know where Kobi belongs, and where Momoni does not... and of course we know what to do with the rubbish in the streets. It is just the doing that is the problem... sometimes. 5. Do you think poetry can influence the politics of Ghana? If so, how? I think that the fact that poets are finding a voice is evidence of the fact that something is changing from the inside in Ghana. I am sure that the voice of poets will document what we see now. I am sure it will change how posterity will view this time. I hope that the voice of poets will change something now, in our times. But life usually does not work like that. Unless there is something radically wrong... and Ghana is not exactly too bad at the moment. this poem is written in a simple style. readily accessible. deals with a very serious subject in a way that is on the humorous side. the colour in squalor ummmmmmmmmm that is great indeed. well done fellow poet!